Due to a slight delay on not posting up Wednesday’s radio show right away for the blog. The reason was that the playlist for the November 24th edition was being incomplete. It was the on-air studio’s computer causing itself to restart and I had my entries from the top 4 songs and the second hour to be gone. You can check the countdown at this link and the playlist is now posted up at this link (via CKCU-FM’s website). On the show itself, I had a surprise guest on the show as I predicted of hosting on my own and almost having a trainwreck. My co-host was unavailable due to being sick and tons of assignments. In the second hour of the show, I finally decided to play Hallelujah for the fourth time as I was slightly pressured to play the original version of the song. The interview I aired was Nat Baldwin in the band, The Dirty Projectors. This was considered my second music interview who’s not from Canada. With Baldwin, what interested me to interview him was that he collaborated with a well-known band, Vampire Weekend. For Baldwin, he was on tour for his solo music. It was a great opportunity to interview him and I should thank, Adam Saikaley (host of CBC’s Bandwidth) for putting on the show at Raw Sugar Cafe. Unfortunately, I couldn’t find a photo of Nat Baldwin for this blog entry. Without further ado, you can listen to the November 24th edition of WildWorks on CKCU-FM. This weekend was totally fun because it started with CKCU‘s 35th Anniversary weekend. It was the concert on Friday night and then the anniversary party on Saturday. The Friday concert consisted of The Steve Adamyk Band, The Flaps, The White Wires, Mike Essoudry’s Mash Potato Masher & The Mighty Popo. I was unfortunate to miss out on The Mighty Popo due to time. Then the party was held the day after (Saturday) and there was excellent food as I just loved the grilled chicken. It was an entertaining night as there were panels consisting of each time period (the 1970s, 1980s, 1990s & 2000s/noughties). Both events were at Porter Hall in Carleton University. It’s been awhile that Porter Hall was used for live music. It was great to see the usual hosts and staff at the events. There are photos that I posted but it’s on Facebook, go to the public link. The link should work if you not logged on Facebook. Onto the nice and warm Sunday afternoon, I went to Raw Sugar Cafe for Grant Lawrence’s book reading event. I finally got to meet Lawrence as I was unable to go to events in Toronto with my brother. As you see the photo on top of the entry shows proof that I finally got to see him. Overall, he was there to promote his book, Adventures in Solitude. It’s not about music if anyone thinks that Grant Lawrence is all about music (actually, Canadian music0. Adventures in Solitude deals about his childhood going to his parent’s cottage in Desolation Sound. Lawrence read a few chapters in the book and his experience being in Desolation Sound brings a lot of humour. Andy Swan performed a couple of songs as a break in between Lawrence’s book reading. I also did an audio interview Mr. Lawrence and expect it to be aired for Wednesday’s radio show. Last thing, how can I not forget Arcade Fire’s second appearance on SNL. Good thing I got back home right after CKCU’s 35 Anniversary Party. I was surprised that the band performed Sprawl II (Mountains Beyond Mountains). I was solo hosting and I made it through the 2 hours. Starting the 2nd hour, I played a 3rd Hallelujah and it’s from the 2008 winner of Britain’s The X Factor, Alexandra Burke. I had a few tweets that they prefer Jeff Buckley’s Hallelujah and to burst your bubble, I played it two weeks on the Funding Drive Show #2. You can listen to the radio show by pressing play. The playlist is at this link. The Grant Lawrence interview was light-hearted at best and hope you will enjoy it. It’s great to finally resume regular programming as the Funding Drive for 2010 was a successful one. The station reached its goal of $110,105. I would like say thanks to the people who pledged on my radio show as I was pretty nervous that I wouldn’t get any as my show is still new. At least my radio is making progress. How can I not forget about CKCU’s 35 Anniversary, that will be explained in a future entry. 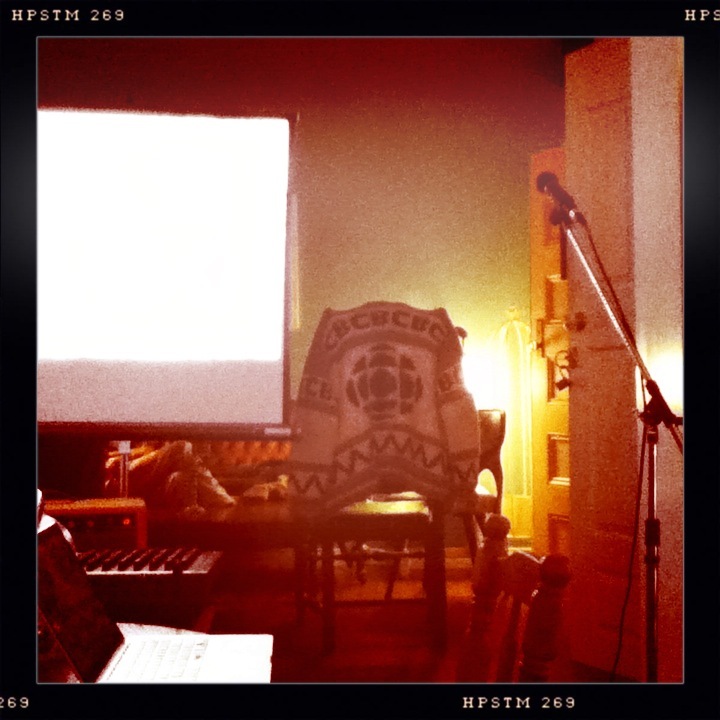 The November 10th edition of WildWorks on CKCU-FM had songs leaning towards the Techno/Electronica realm. Overall, my co-host, Marzia did a good job helping me out after being absent for one show. It was an entertaining show. The first hour as usual was The Wild 10 Countdown and yes, Arcade Fire is still #1 on the countdown. The Wild 10 Countdown entry is at this link. In the second hour, I played another version of Hallelujah and it’s by Rufus Wainwright. I am totally hooked on Communion by Maximum Balloon & Karen O. (of Yeah Yeah Yeahs). There was a blast from the past song I played and it was due in part to The X Factor in the UK. One of the contestant sang Stay by Shakespears Sister on the show and it got some buzz from the UK singles chart. The interviews aired on the radio show were Diamond Rings and the all girl Weezer cover band, Sheezer. Just good timing for Diamond Rings as he’s the X3 Artist of the Month. The November 10th radio show – press play to listen. It was recorded on October 29, 2010, outside of Raw Sugar Cafe. Press play to listen or download it. It was recorded at Zaphod Beeblebrox with two of the members. Press play to listen or download it.